From the TGIF department... Check out the latest mixtape by the League of Extraordinary G’z - Concealed Weapons 2 Mixtape! 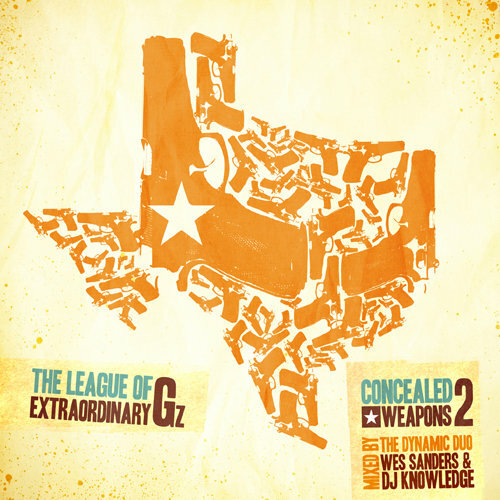 The League of Extraordinary G’z is an amalgamation of Austin rap groups Dred Skott, Southbound and Da C.O.D. In full, League members include Reggie Coby, Esbe da 6th Street Bully, Lowkey, Sandman, Mr. Greezo, Lil J, S.Dot and Tukdgat. Their second edition of the Concealed Weapons mixtape series packs a mighty wallop and is currently available for free download.